Feuerhelm Langer, Ltd. is an experienced Lake Elmo, MN CPA firm that makes our clients' financial welfare our top priority. We are dedicated to creating accounting solutions and reducing tax liabilities for every client. From new ventures to long-established businesses to individuals, we provide a high level of service to every client. Our approach to accounting services is all about value. We offer the skills and expertise of a large CPA firm combined with the personal attention and responsiveness of a smaller firm. When you partner with us, we take the time to get to know you, understand your goals, and build an enduring professional relationship. We invite you to turn to us for bookkeeping services, financial projections, tax planning strategies, and all your business accounting needs. Feuerhelm Langer, Ltd. is right where you need us to be in Lake Elmo, MN. 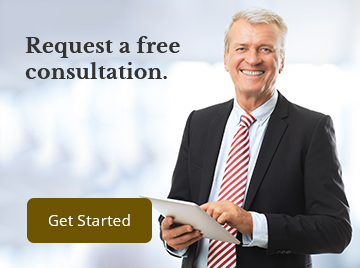 Request your free consultation through our website or call 651-646-6346 and get started now. Lonnie has been practicing as a tax accountant and business advisor since 1975. He is headquartered in the firms Baldwin office. Lonnie formed Feuerhelm Langer, Ltd. in 1983 and has grown it to include three office locations to serve hundreds of business clients as well as thousands of individual clients. His primary focus is tax and financial planning for the individual and corporate clients alike. Brent has been practicing as an accountant and tax advisor since 1986. He is headquartered in the firms Ellsworth office. Brent focuses on individual and corporate tax planning for clients in a wide range of industries. He has extensive experience with small to medium sized businesses. Brent started his career with Feuerhelm Langer, Ltd. and has been with the firm ever since. His broad knowledge of individual and corporate tax laws has made him a natural complement to the firm. Kit has been practicing as an accountant and tax advisor since 1997. He is headquartered in the firms St Paul office. Kit focuses on computerized accounting for small to medium sized business. He also has extensive experience in corporate and individual tax planning for clients. Kit began his career with Feuerhelm Langer, Ltd and continues to a valuable component of the firm with his client interaction and versatility. His versatility has enabled him to bring the clients best interest to the forefront with combining accurate up to date computerized record keeping with a strategic tax plan. Kit is a member of the Minnesota Association of Public Accountants. Sarah has been practicing accounting since 2002. She is headquartered in the firm’s Baldwin office. 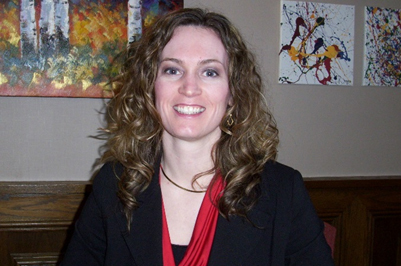 Sarah focuses on individual and corporate taxes as well as small business accounting and reporting. Sarah began her career as an auditor with Silverman Olson Thorvilson & Kaufmann, LTD (now part of BDO Siedman) in Minneapolis, where she did audits and compilations and corporate and individual taxes. She also spent 10 years in the finance department at Andersen Windows and gained experience with accounting, budgeting, forecasting and reporting. Sarah joined Feuerhelm Langer, Ltd in 2013 and enjoys working with clients and helping them with their tax and accounting needs.